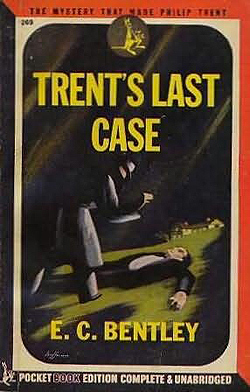 The most venerable of detective protagonists is relatively new to me. 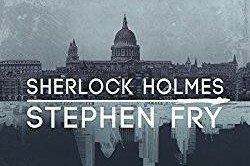 Now, thanks to the superb delivery of Stephen Frye and the desultory attention that audiobooks allow, I am drifting in and out of the complete Sherlock Holmes canon and quite enjoying what I come up with. "I can never bring you to realize the importance of sleeves, the suggestiveness of thumbnails, or the great issues that may hang from a boot lace." -- Sir Arthur Conan Doyle, "A Case of Identity"
"Forgive this weakness, Mr. Holmes. I have been a little overwrought. Thank you. If I might have a glass of milk and a biscuit, I have no doubt that I should be better." -- "The Adventure of the Priory School"
"... ranging from his famous investigation of the sudden death of Cardinal Tosca—an inquiry which was carried out by him at the express desire of His Holiness the Pope—down to his arrest of Wilson, the notorious canary-trainer, which removed a plague-spot from the East-End of London." -- "The Adventure of Black Peter"
"I read death on his face as plain as I can read that text over the fire." "Ah, I have no data. I cannot tell." "'Data, data, data!' he cried impatiently. 'I can't make bricks without clay!'" -- "The Adventure of the Copper Beaches"
I've realized during my listening that Doyle dangled participles and modifiers all the time, and that this doesn't matter much. So, if you can write as popular and enduring a character as Sherlock Holmes, and if you can read as well as Stephen Frye, you can go ahead and dangle all you like. P.G. Wodehouse's Jeeves, like Richard Stark's Parker, goes by a single name. Jeeves, like Parker, manages heists that do not go as planned (think of the silver 18th-century cow creamer in The Code of the Woosters, for instance, and the rare coins in The Rare Coin Score). 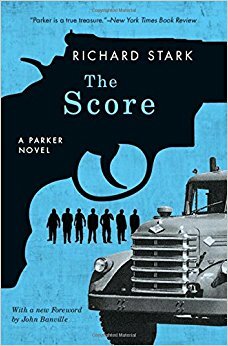 Jeeves' work, like Parker's, is often complicated by incompetent amateurs. Setting is frequently a major plot point, the focus of all action, whether Cockaigne or Totleigh Towers. 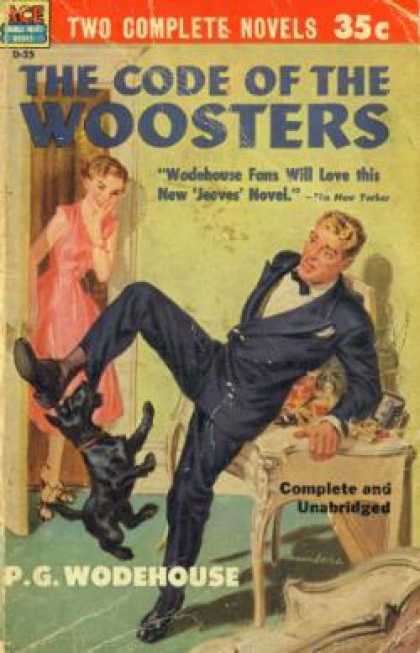 Nocturnal break-ins abound in both the Jeeves stories and the Parker books, and Wodehouse's Bertie Wooster refers back to previous Jeeves and Bertie stories, just as Stark's Butcher's Moon is an all-star cast of characters from the Parker novels that had gone before. More to come. In the meantime, in what other ways are Richard Stark and P.G. Wodehouse alike? Plus big chunks of Gibbon and Montaigne, the latter of whom is excellent consolation for problems that include not knowing how to fill one's leisure time. The first known use of the word audiobook was in 1953, according to Merriam-Webster.